Now that summer is winding down and fall is approaching, there’s no better time to adopt some frugal habits and hobbies to get your finances back on track. Fall is the best time to start preparing your finances for the holidays so you can afford the expensive final months of the year without going into debt. On the other hand, most of us still want to do enjoyable activities that don’t cost an arm and a leg. If you feel like you’re going to be bored or broke after the busy and exciting summer season, guess again. Here are a few hobbies to enjoy that will help you save money as you prepare your budget for the holidays. Football season is here, so if you like sports, you may want to check out a few games. Instead of spending big bucks on an NFL game, you can attend a local football game at a high school or college to save money. Some high school football games are even free, and if you have siblings, cousins, or other students you know who are on a team, it might be nice to see them play. If you’re looking for a more mature crowd, college football games are the next best option, especially if you live near a college or university. Most college football games take place in the daytime on Saturdays, so you can make a whole day out of it. If you go to your alma mater’s football game, you might even be able to score a discount; current students often receive free admission to games. Fall is the perfect time to hike and camp. I went camping in the summer and found that it was pretty hot, but fall seems like the best time to check out national parks and spend a night at a campground without being under the wrath of the hot sun. Most state national parks are free, and campgrounds offer discounts for county residents if you want to stay local. Reading is a relaxing pastime I miss and try to make time for. There’s nothing that can compare to getting into a good book and relaxing at home for a few hours. It’s a great way to unplug and escape effortlessly. You can even stop by your local library to check out their book selection and participate in events and groups like book clubs or even author meet-ups. There are a wide variety of different book clubs that might pique your interest like clubs for teens, parents, autobiographies and more. This way, you can discuss with other likeminded people and get out of the house for free. If you’re looking for something to do that’s hands-on, or would like to pick up a new skill, I’d highly recommend local craft classes. If you have a Michael’s craft store near you, they usually offer community classes that are fun, unique, and affordable. Michael’s offers classes for cake decorating, knitting, jewelry-making, handmade decor, scrapbooking, art, kid’s activities and more. The price and length of the classes vary and you’ll need to contact your local Michael’s store to learn more specifics. But for example, in my area, cardmaking classes are $15 and knitting and crocheting classes are $25. Michael’s also offers walk-in events and one-day classes on weekends as well. If you are planning any DIY home projects or looking to improve your skills in that area, Home Depot is another store that offers classes and workshops, but most of theirs are free. They host hands-on weekly workshops that help people learn how to do things like basic bathroom upgrades, interior paint, install drywall, wall tile, and more. Doing puzzles is a very enriching activity for kids, but it’s also a great activity for adults who need to decompress, pass the time, or just feel the need to accomplish something interesting. Large puzzles with 1,000+ pieces are great for adults, date nights, or for involving friends. Spending a relaxing night in with your significant other and tackling a large puzzle together while you watch a movie is a good option for a frugal date night that won’t cost much. Some people even frame the puzzles they complete to add decorations around their home. Other activities that you can do to stimulate your mind include solving crossword puzzles and doing word searches. You can find challenges like these online, as apps, or you can pick up a word search book at most dollar stores. Help make a difference in other people’s lives, meet new friends, and support causes you love by volunteering with a local charity or organization. Instead of spending money, you’ll spend your time helping fulfill the mission of the organization, planning and executing events, and doing other tasks to help others in need. Volunteering is one of the best ways to give back and stay busy and active in your community. Plus, it can be fun since you can choose which type of position you’d like to volunteer for and may end up working with some interesting people. Hobbies and entertainment can take up a lot of space in our budget, making it harder to save for long-term purchases. If you commit to some of these frugal hobbies and activities, you can spend less and still remain busy while pocketing the money you aren’t spending to create your holiday budget instead. 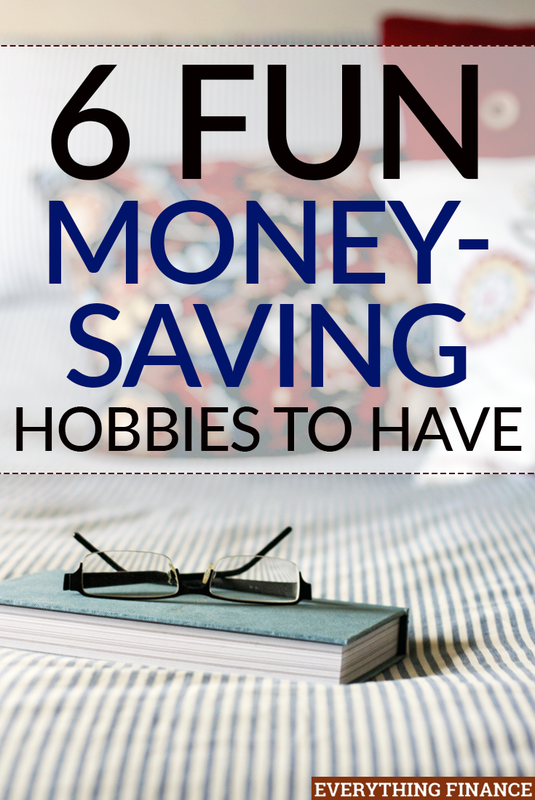 Have you ever done any of these frugal hobbies? What would you add to the list? Why Can Starting Your Garden Now Save You More Money? How much should your Monthly Mortgage Payment be ?